According to a report by the Health and Human Services Office of the Inspector General (OIG), nearly all nursing home facilities fail to comply with federal regulations governing residents who are prescribed “atypical antipsychotic” medications. The report found that in nearly all (99.5 percent) nursing home facility staff failed to meet one or more federal requirements for resident assessments and/or care plans for residents taking atypical antipsychotics, according to mcknights.com. The OIG found that 99% of the records it reviewed did not contain any evidence of compliance with federal requirements for care plan development and one-third of the records did not comply with federal requirements about resident assessments. So what does this all mean? Well, it means that if a nursing home resident who is taking an atypical antipsychotic medication and suffers a serious side effect or injury, the resident may have grounds to file a nursing home negligence claim against the facility. It also is another indicator that many nursing home facilities fall below the level of care we all expect, and demand, for our elderly loved ones. When the difficult decision is made to move a parent, grandparent, or other relative to a nursing home, many of us believe that the facility is top-notch and run by a highly qualified, and competent staff of professionals. The OIG report is evidence that the vast majority of nursing home facilities are unprepared or consciously disregard the regulations designed to prevent injuries to residents requiring atypical antipsychotic drugs. 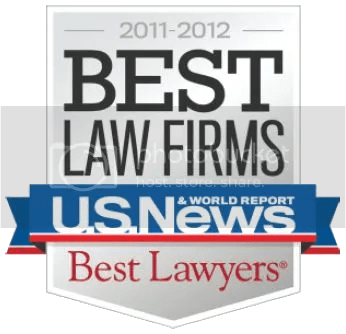 About the Editors: The VA nursing home abuse and neglect attorneys at Shapiro, Lewis & Appleton include lawyers licensed in both Virginia and Carolina. Check out our case results to see our track record of success in medical malpractice and nursing home abuse lawsuits. Also, read our in-depth report on nursing home abuse and neglect law in Virginia. Rick Shapiro and James Lewis have been listed among the Best Lawyers in America since 2008. They, along with fellow attorney Randy Appleton, have also been named Virginia Super Lawyers since 2010, an honor fewer than 5 percent of practicing attorneys receive. Mark Favaloro, a nursing home abuse and neglect attorney in Virginia, discusses some of the issues associated with elder abuse. Mark mentioned the lack of proper funding for nursing home facilities, which usually leads to either underpaid and incompetent staff or a general lack of staff at facilities. This type of environment breeds abuse and neglect. Nursing home abuse or neglect can be devastating and emotionally traumatizing to your elderly loved one. In many instances, your loved one feels ashamed, or is led to believe that they did something wrong to cause the abuse. This creates a vicious cycle which allows the abuse to transform years that should be filled with rest and relaxation into years of avoidable health issues, emotional damage, and incalculable pain and suffering. One of the reasons nursing home abuse is so prevalent is because it can be challenging to sit down with your mother, father, grandmother, etc. and broach this delicate subject. Your elderly loved one may even be suffering from dementiaor Alzheimer’s, while others may be altogether non-verbal. Some might be separated from you by distance, while others may be difficult to talk to openly due to generational differences. Whatever the barriers may be, it is extremely important for you to talk to your loved one about what you’ve noticed in the nursing home facility and whether they are the victim of nursing home abuse or neglect. · Make sure that there aren’t distractions in the room, such as a TV or other people. It should be just the two of you in a room so you can both focus on the conversation and what it means. · Don’t be too brisk or condescend to your loved one, even if you are now in the position of caretaker. Be sure to show them respect and love and listen to their needs. They may be trying to tell you something – be sure to hear it when they do. · Talk to them openly about your concerns, and don’t be afraid to ask them direct questions even about sensitive questions. · Spend time with your loved one as much as you can – if they are comfortable with you, they are more likely to be open with you even regarding unpleasant topics. · If your loved one has suffered a drastic mood change, that may be their way of communicating a problem to you, even if they can’t say it in words. Be aware of their well-being, even if you can’t ask them how they are feeling. 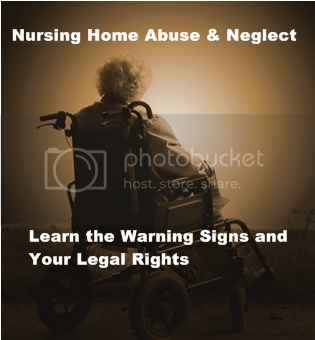 This is the first post on our Nursing Home Abuse and Neglect informational blog.